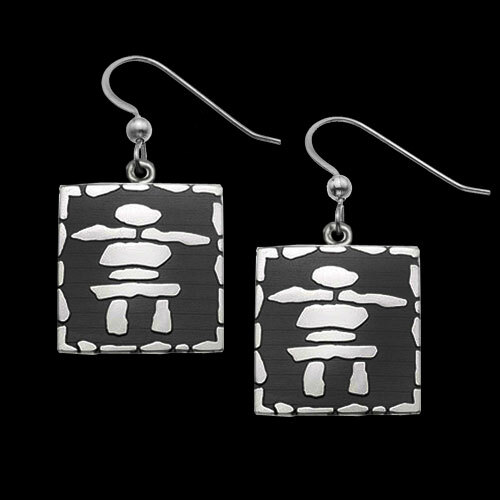 Sterling Silver Inukshuk Earrings by Metal Arts Group. Inukshuk is a unique "human-like" stone formation used in Northwest Native American cultures as a form of communication. Providing directional aid or to mark a migrational path for hunting and fishing, each arrangement can provide comfort to a traveler in unknown territory. These formations have also been used as a sign of respect for a passed loved one. 1 x 0.9 inch Sterling Silver Inukshuk Earrings by Barry Burger. Made in USA.